﻿ Rare Replay is now out on Xbox One! Rare Replay is out ! 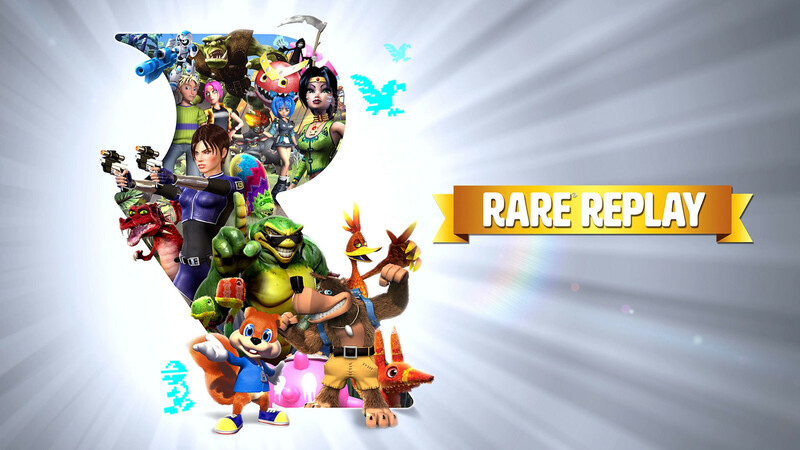 After having worked six months on the game, Rare Replay is now out and released! Very proud having worked on it. To celebrate its 30th anniversary, Rare brings together the adventures of its iconic characters in a collection that spans the decades. From its earliest 2D classics to Xbox 360 triumphs, Rare Replay delivers a gaming treasure trove for veteran players and newcomers alike. As you brawl with the Battletoads, grab Jiggies in Banjo-Kazooie and fight the future in Perfect Dark, you’ll uncover bonus content and exclusive looks at the creation of Rare Replay’s hits. Master the basics or test your skills with all-new snapshot challenges and 10,000 Gamerscore. Gaming’s greatest are back, lovingly presented and exclusively on Xbox One! Rare Replay is a 2015 compilation of 30 video games previously developed by Rare in their 30-year combined history. The emulated games span multiple genres and consoles and retain the features and errors of their original releases with minimal edits. The compilation adds cheats to make the older games easier and a Snapshots mode of specific challenges culled from parts of the games. Player progress is rewarded with behind-the-scenes footage and interviews about Rare’s major and unreleased games. The compilation was one of several ideas Rare considered to celebrate their 30th anniversary. Inspired by fans, upcoming Xbox One backwards compatibility features, and the idea to connect Rare’s past and future, the company sorted through 120 games to choose titles that best represented its oeuvre. They prioritized games with characters and environments original to the company. Rare incorporated six emulators in the package, and worked with its parent company, Microsoft, to use its unannounced Xbox 360 emulation. Rare Replay was announced at the 2015 Electronic Entertainment Expo and released worldwide as an Xbox One exclusive on August 4, 2015. Sea Of Thieves is out!